While the five and six figure fee stallions hold the attention carnival time our budget stallion Pendragon went about his business as usual this past weekend. His son Killarney Kid racked up his 14th career win pushing his earnings over $500,000 while Budderoo Knight won his 7th race and $160,000 in earnings also. Already the earner of over $150,000 Colour Of Money chalked up another metro placing. 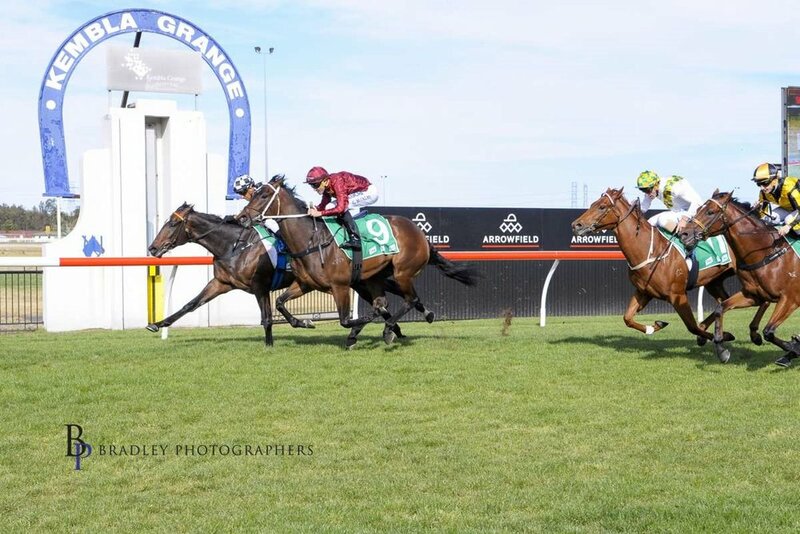 Other progeny Beaudragon & Our Dragon ran placings while $700,000 purchase Miss Gunpowder was unplaced this time, but she did take on the big guns in the Group 1 Rupert Clarke Stakes having herself previously earned over $550,000 in prizemoney. At a four figure fee of only $5,500 Pendragon is still punching during spring carnival time with multiple runners earning 100’s of thousands. Now standing at Brisbane Meadows on the Southern Highlands, Pendragon is a proven sire of iconic Cup winners having sired Mercurial Lad to win the time honoured Snake Gully Cup at Gundagai last week, Alfred the Great to win the Bong Bong Cup for James Cummings last year and Colour of Money to win it the year before for Cummings in 2015. Country racing has never had it so good and a good country Cups horse can be a great money spinner for the owner breeder. Alfred the Great has won over $70,000 in prizemoney, Colour of Money has won over $112,000 and Mercurial Lad has won over $150,000! It's been a great month for Pendragon, who has sired eight winners since November 1 including four on Melbourne Cup Day. Among those winners is lightly raced Sky Boy, who scored a dominant victory at Canterbury on November 1 for Anthony and Edward Cummings before heading south for a crack at Black Type. Sky Boy drew the outside in a field of 14 on Oaks Day at Flemington in the Listed VRC Seppelt Wines Stakes over 1800 metres and did a great job to grab third at just his fifth race start. Given that Pendragon's stock just get better and better with maturity, he looms as a certain future stakes-winner as his career unfolds. For owner breeders looking to produce a horse to have fun with over a period of years and collect cup type trophies to adorn 'the pool room', Pendragon is a low cost, proven option priced at $5,500. He has 57.6% winners to runners with 71 of his 127 runners emerging as winners headed by Group II winner Miss Gunpowder, who sold for $700,000 at the Magic Millions National Broodmare Sale this year as a racing/breeding prospect. For broodmare owners considering Pendragon, time is on the wing, but it's not too late. Breeding late in the season is not a negative with some of our best horses foaled on the cusp of summer. VRC Oaks queen Pinot was foaled on November 3, ten-time Group I winner So You Think on November 11 and the mighty Lonhro on December 10, so a foal born in late spring has no less chance of finding racetrack success than any other. While the big gun stallions and their lesser regarded peers produced a nation full of runners, $5,500 fee Pendragon played his part in Cup week. From Derby day to Emirates day he sired 4 winners, 4 place getters and the promising lightly raced stakes getter Sky Boy who was placed in the Sepplet Wine Stakes Listed on Oaks Day. The latter Sky Boy won his second of four career starts the previous week at Canterbury which prompted the quick back up at Flemington. Bargain hunters can source Pendragon at Fiona Mylans Brisbane Meadows Stud in the Southern Highlands before the season is over on 0434 634 436 or brisbanemeadows@gmail.com. November born foals continue to excel in Cup week including Pinot (Oaks), Merchant Navy (Coolmore), Lulvaluva (Wakeful) and our former champion So You Think (born 10th November). The Group One Tatts Tiara (1350m) at Doomben in a fortnight is on the cards for the 4yo mare who was runner-up in the Group III Proud Miss Stakes at Morphettville at her most recent start. "She is a multiple black-type winner who has won at the distance. There is some improvement in her and she deserves a chance at the best company," co-trainer Tom Dabernig said. "That race is very tempting and I am sure she will be right up to it. "She has done well since arriving in Brisbane and I am sure there is improvement still to come." A $60,000 yearling purchase by Stokes from the Think Big Stud draft at the 2014 Inglis Classic Yearling Sale, Miss Gunpowder advances her record to 6 wins, 3 seconds and 2 thirds 16 starts with earnings of $380,500. She was sold a fortnight back for $700,000 to a syndicate headed by Neil Werrett and Steve McCann. She is the second foal of imported mare Forever Rafter (USA). A daughter of the Storm Cat stallion Delineator, Forever Rafter is a half-sister to Group I Winter Stakes winner Absolut Glam (Snowland) and Listed Eskimo Stakes winner and Group I Galaxy Stakes runner-up Nobby Snip (Snippetson). Forever Rafter (USA) was covered by So You Think last spring. Co-trainer Jones is now considering throwing Mercurial Lad in the deep end this campaign. “Obviously we can aim pretty high but we will go away and have a think about it,” he said. 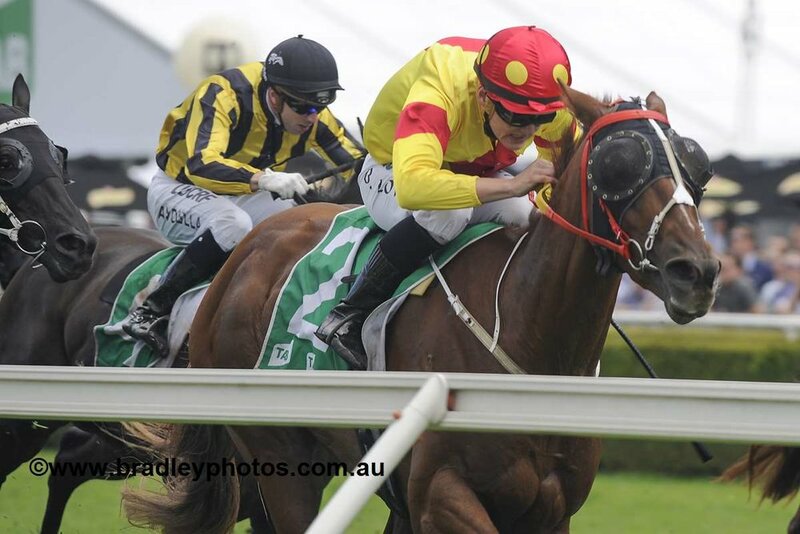 “He is still a three-year-old and there are Guineas races like Hawkesbury and Scone (coming up). Underrated hoop Brodie Loy celebrated his first Sydney winner this season and deserves plenty of credit for helping iron out Mercurial Lad’s issues. “He went straight and he was good as gold (today),” he said “He loves heavy tracks and that takes the other horses a couple of lengths back to him. Owners of Mercurial Lad couldn’t hide their delight at Randwick on Saturday. A Think Big Stud Ready 2 Race graduate, out of Mercury Lady purchased by Barbara Joseph for $40,000, the gelding has won just over $100,000 for his owners with four wins from only 10 starts including two seconds. Bred and retained to race by Dato Tan Chin Nam’s Think Big Stud, who enjoyed so much success with her sire, Mull Over is a half-sister to stakes-winning stayer Galizani and is the fourth winner from Zabeel mare Zahani, a daughter of Group I AJC Flight Stakes winner Danarani. Zahani died in 2015 and Mull Over is her final foal. Coolmore will offer a close relation to Mull Over at Inglis Easter, presenting an All Too Hard colt from her half-sister Galizani as Lot 150. Champion racehorse So You Think goes from strength to strength and is the leading Australian Second Season Sire by earnings. Mega Mall clocked the quickest late splits of the day at this track on February 4 when winning a Benchmark 63 (1350m) comfortably last start and that performance came on the back of two eye-catching runs prior. Mega Mall will now go for a well-earned break after a successful preparation which consisted of 3 wins, a second and two fourths and her total prizemoney inc bonuses now stands at $86,525. Footnote: Mega Mall's second placing at Newcastle on 21 January has been upgraded to first after Lady Sansa was disqualified due to returning a positive sample. The BOBS eligible draft of five features one quality filly by So You Think and four youngsters by Eurozone, whose progeny at this sale are eligible to win the $100,000 Newgate Farm bonus paid to the recorded buyer of any of his yearlings that return to win the 2018 Inglis Classic race. Eurozone was a stylish winner of his only two starts as a juvenile before training on to win the Group II ATC Stan Fox Stakes. He also confirmed his class at the elite level with placings in the Group I MRC CF Orr Stakes and ATC Randwick Guineas. His sire Northern Meteor, was the Champion Australian First Season Sire of 2012/2013 with 18 first crop winners to his credit, so there is every reason to believe Eurozone can follow in his footsteps and make a quick impression next season when his first two year-olds hit the track. Lot 10 Colt Eurozone x Margobelle, by Barathea (IRE) - Half-brother to seven winners highlighted by stakes-winner Wells Street. Lot 39 Colt Eurozone x More Chickens, by Zabeel - From a half-sister to stakes-winner Chickens, the dam of Group III winner Do You Think. From the family of Group I stars Faint Perfume, Danendri, Copperama and Danestorm. Lot 163 Filly Eurozone x Quick Thinking, by Starcraft - From a daughter of Group I New Zealand Oaks runner-up Sursum Corda, a full sister to Group I winners St Reims and Champagne. From the family of current stakes-winners Imposing Lass and Charmont. Lot 394 Filly So You Think x Champagne Dance, by Encosta de Lago - One of only two fillies in this sale by leading second season sire So You Think. From an unraced daughter of Group I winner Tempest Morn and sibling to the dams of Group II winner Good Standing and Group III winner Tempt Me Not. His first Group I success came earlier that year when as a three-year-old he toppled the older horses at weight-for-age in the Australian Cup before his memorable clashes with Octagonal, Filante and Nothin' Leica Dane in the Rosehill Guineas and Australian Derby. In total Saintly won 10 of his 23 starts, four at Group I level, with earnings of more than $3.8 million.